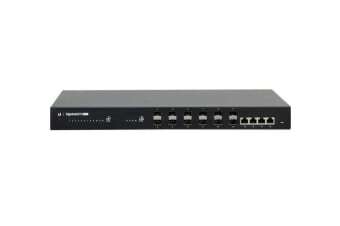 For fiber connectivity, the EdgeSwitch Fiber features 12 SFP ports, eight of which also support 100 Mbps. 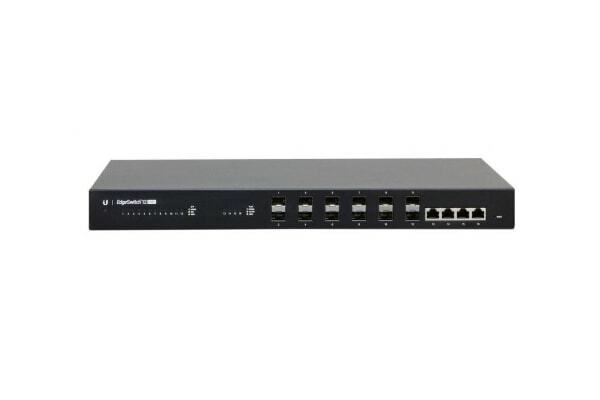 For copper connectivity, the EdgeSwitch Fiber offers four Gigabit RJ45 ports. 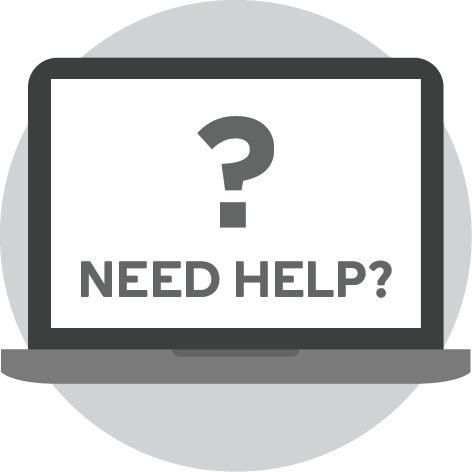 The EdgeSwitch Fiber offers the forwarding capacity to simultaneously process traffic on all ports at line rate without any packet loss. For its total, non-blocking throughput, the EdgeSwitch Fiber supports up to 16 Gbps. The EdgeSwitch Fiber uses a sophisticated operating system that provides advanced switching features, including VLAN tagging and link aggregation, and limited layer-3 features, including static routing and DHCP server functionality.